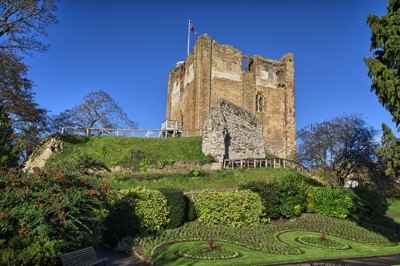 The partly restored Norman keep is open between March and October, although opening times should be checked in advance. 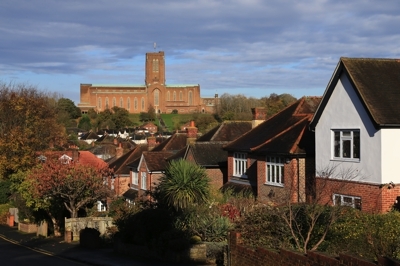 A trip to the top of the keep provides excellent views across the town and surrounding countryside. The grounds are well maintained and include a pond, bowling green and ornamental gardens. Perched on Stag Hill, adjacent to the university campus, the cathedral is an example of modern design utilising equally modern materials. Unlike many cathedrals, stained-glass windows are noticeably absent; almost all the windows are of plain glass, allowing natural light to flood the white interior. The cathedral is open every day, admission is free, and photography is permitted for personal use. 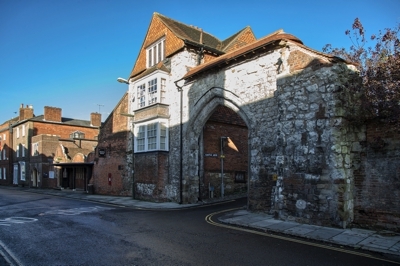 The Guildford Museum takes a look at the history of Guildford and the surrounding towns beginning from pre-historic times through to the 20th century. With over 75,000 different exhibits, the Museum covers Archaeology, Local History, Needlework and Art. Open Monday-Saturday with no admission charge, the Guildford Museum is great educational fun for the whole family.